Be captivated by this truly unique art competition that is held annually in Sheffield - the 'Town of Murals', in Tasmania, Australia, commencing Easter Sunday every year. Mural Fest is so successful that similar events are now happening interstate and overseas. The expression of art has many forms, one of which is free interpretation of a thought, or in this case a poem, transformed in colour into intangible life by the artist’s brush. A competition is held each year for the theme of International Mural Fest and a poem is selected for competitive artists to transform into a work worthy of the exhibition. You can be sure it will lend creative expression to the artists in attendance who will be displaying their murals bemused by the chosen poem. Image thanks toTourism Tasmania & Supplied Courtesy of Kentish Council. Each Mural Fest is an original and exciting event as the nine artists selected must present a unique artistic rendition on this poetic theme in the form of a painted canvas measuring 2.1 X 4.8 meters in just a short week’s time. The competition is fierce, the time frame for completion tight, and the expectations high and so the expressions created are even more outstanding to admire. The event at Mural Park, an outdoor gallery, promises to be a splendid time all around. Be sure to come to the International Mural Fest to witness this amazing ‘painted poem’ event. Art is life and these days are sure to please every art lover in the land. Local artists are screened beforehand to be able to compete by submitting examples of their previous work and accomplishments, as well as a miniature version of the mural they propose to paint. 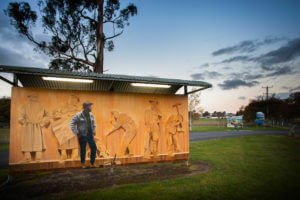 The public is asked to vote on their favourite to be entered in a prize drawing for $3,000 AUD and a panel of expert judges from the Sheffield community selects the winning artist’s mural with a Grand Prize of $15,000 AUD. The murals are displayed all year in Mural Park thereafter and all are available for sale, save the winning mural. Other prizes to be awarded include a $5,000 World of Marbles Highly Commended Award and a $2,000 Slaters Country Store Award for the artist who receives the most votes from the attendees. 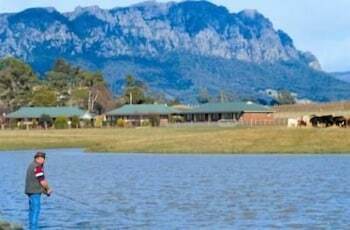 Image thanks to Tourism Tasmania & Rob Burnett. Not only will there be much to see, as the artist’s work diligently to complete their craft day by day, but there’s much to do as well. Live music, delicious food and refreshing beverages, children’s activities and play areas and a pet-friendly atmosphere bring this art extravaganza to life even more. 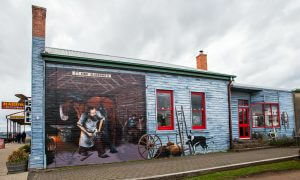 The International Mural Fest has branched out to more communities in Australia and abroad as its popularity has grown. Sheffield is rich in history and lore and the murals to be painted will depict the culture, lifestyles and personality of its citizens both past and present. Image thanks to Tourism Tasmania & Supplied Courtesy of Kentish Council. 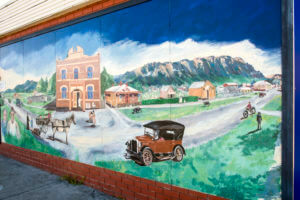 Around Easter each year, in the town of Sheffield--known for its love of art and artists and affectionately dubbed “The Town of Murals”, artists and art appreciators come together for an event that will surely be a feast for the eyes. 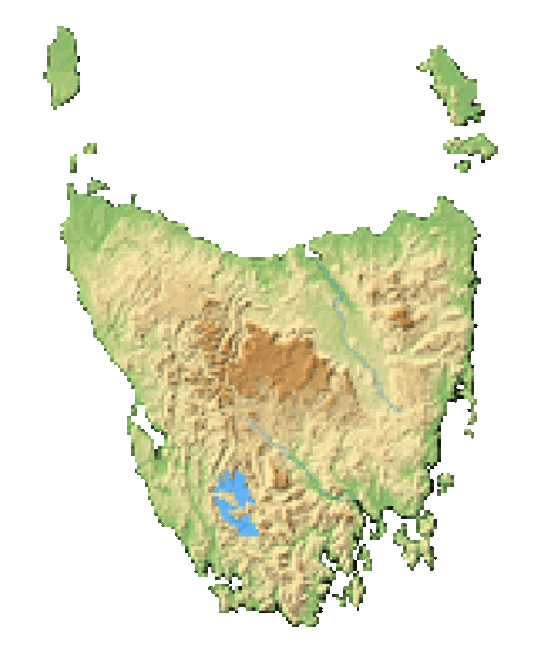 From Hobart, it’s a 3-hour drive along scenic Highway 1. Entrance to Mural Park is free. Food and drinks are available for purchase.